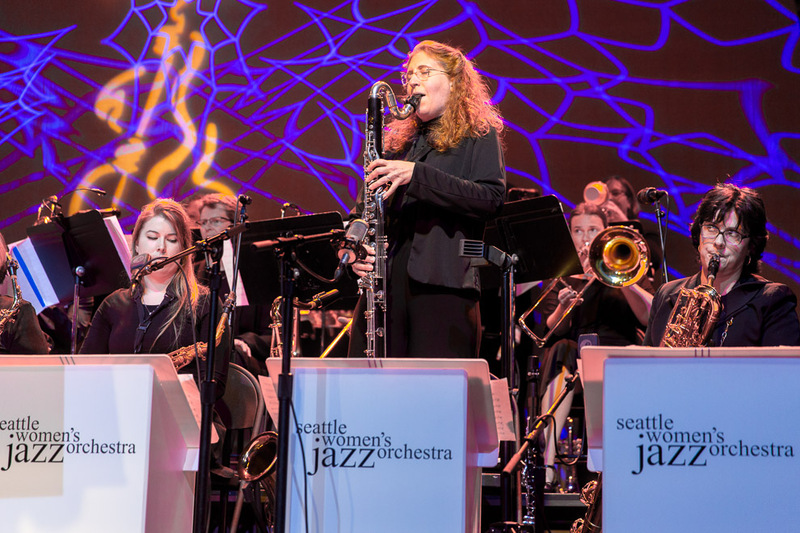 “Tremendous, powerful and inspiring!” says Gabriel Alegria, President of La Asociación International Jazz Perú, of the Seattle Women’s Jazz Orchestra. 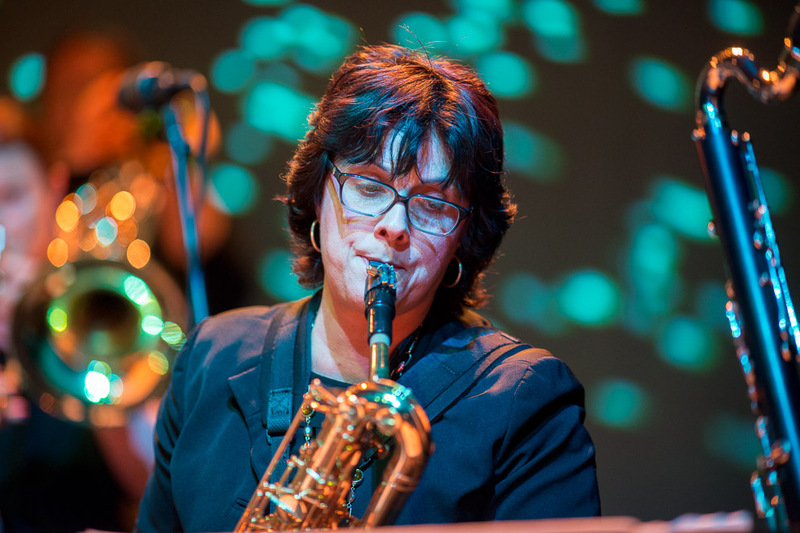 With its contingent of many of the finest female jazz artists in the Pacific Northwest, SWOJO is joined by world-renowned guitarist/recording artist/composer Mimi Fox in this festival appearance. 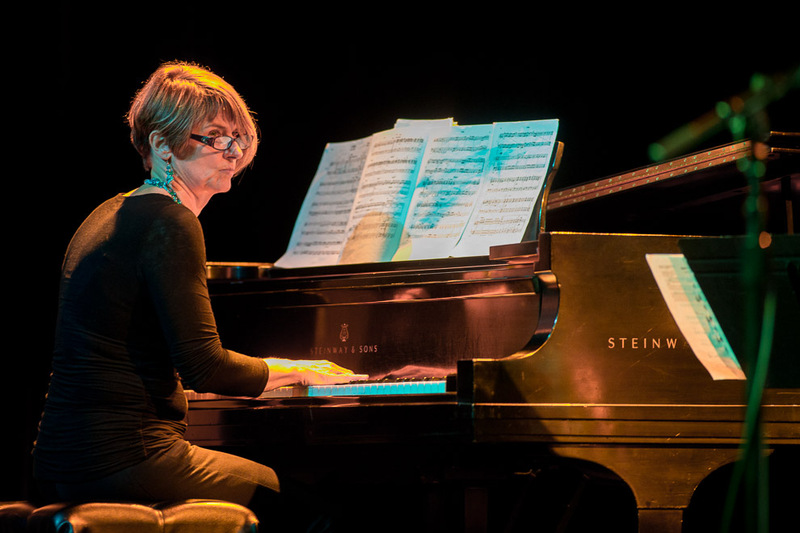 The evening also features the world premiere of “Cat Dreams,” by Nelda Swiggett, winner of SWOJO’s third annual composition contest. 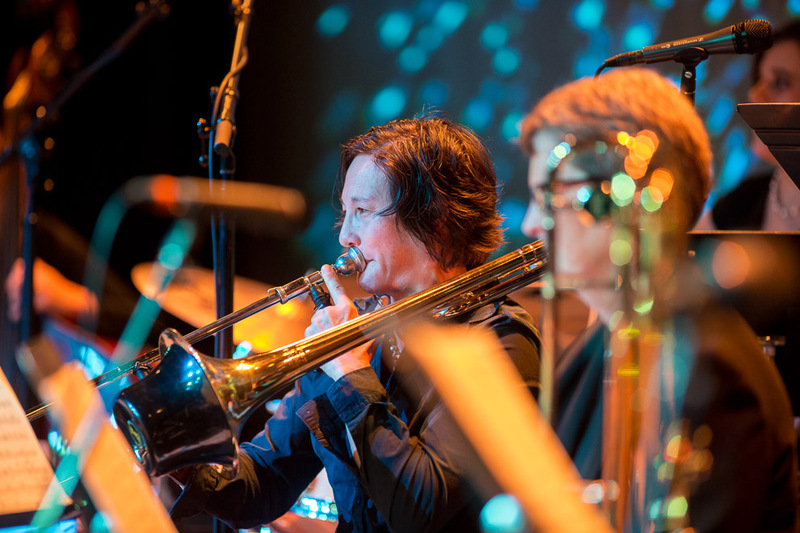 Performing since 2000, SWOJO is known for creating an “energy and environment” that is “magnetic…both musically and emotionally” (Dr. Michael Caldwell, Editor, International Trumpet Guild Journal). 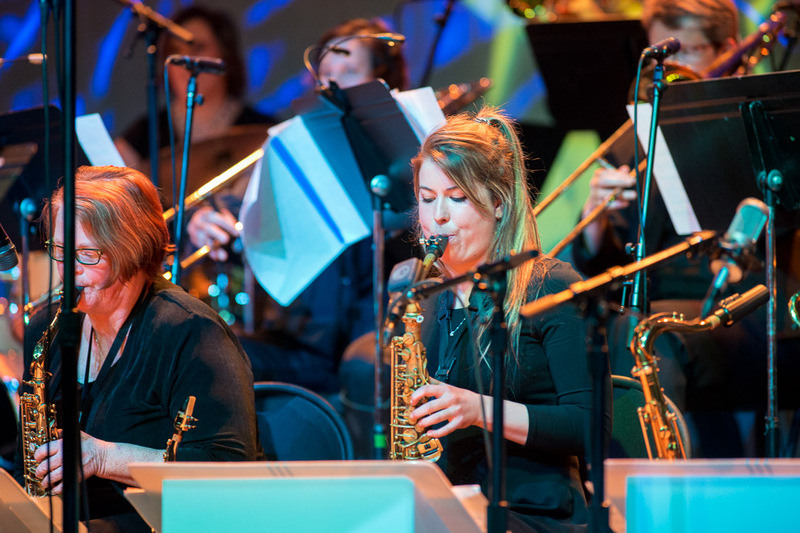 Along with their own core of “burning, swingin’” (Alegria) arrangements of jazz, they are dedicated to performing original music with regional and international composers. 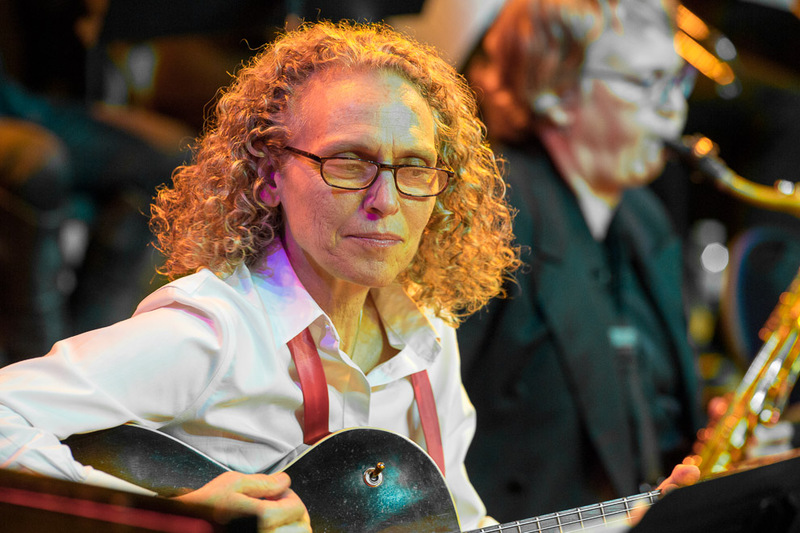 This night with Fox will continue their vision of sharing the wealth of music created by women in a genre historically dominated by men. 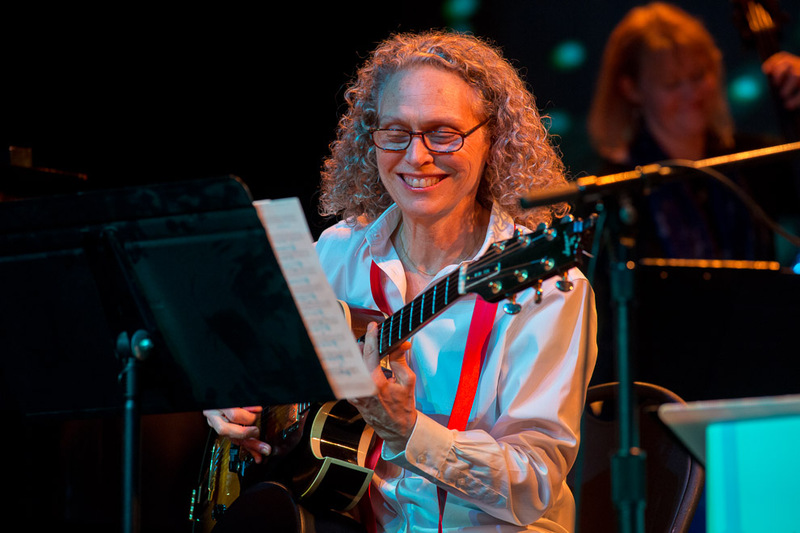 Fox, herself a dominant force and leader in the guitar world, has recorded and played with many of the greats: fellow guitarists Charlie Byrd and Stanley Jordan, instrumentalists Branford Marsalis and David Sanchez, and vocalists Diana Krall and Janis Siegel. 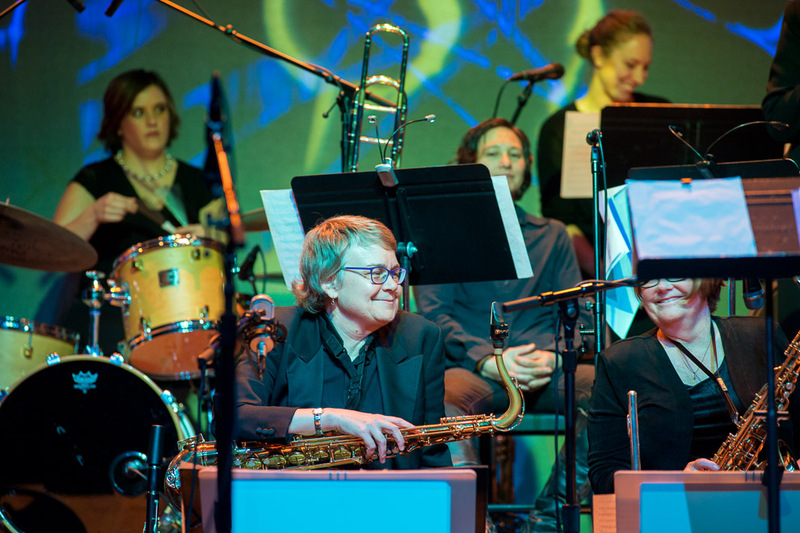 SWOJO, united with Fox’s “firm control, clarity and concept” (AllAboutJazz.com), will provide an evening of rich texture, excitement – a musical joyride. 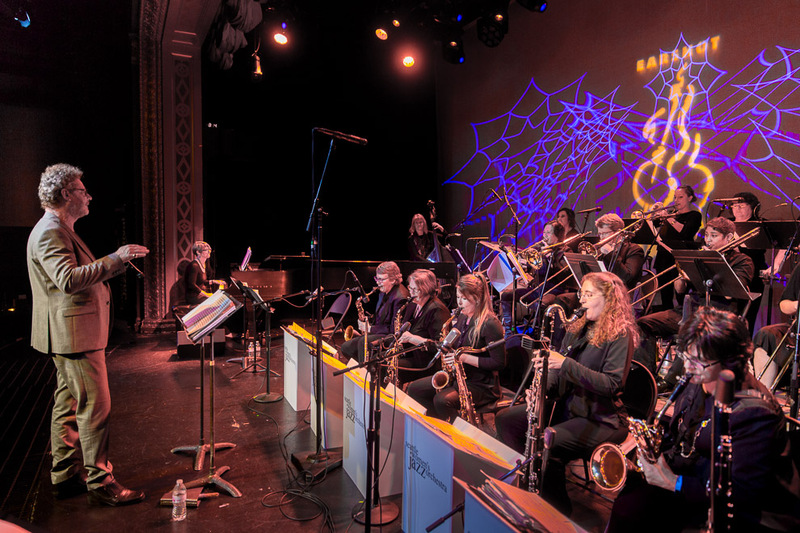 Awesome SWJO! Great to see you all up there swinging your asses off. Also great you had Mimi along for the ride.